Last night I watched “Sing Your Song,” the HBO documentary about the life of the great Harry Belafonte. I found myself unable to move and miss learning more about the work of this phenomenal actor, singer, & activist. Truly inspirational. “Sing Your Song” cosigned my passion for meshing art & politics. It confirmed my belief that if God has given you talent, a voice, a following, you are required to use that small amount of power to inform, motivate, and move the masses by any means necessary. 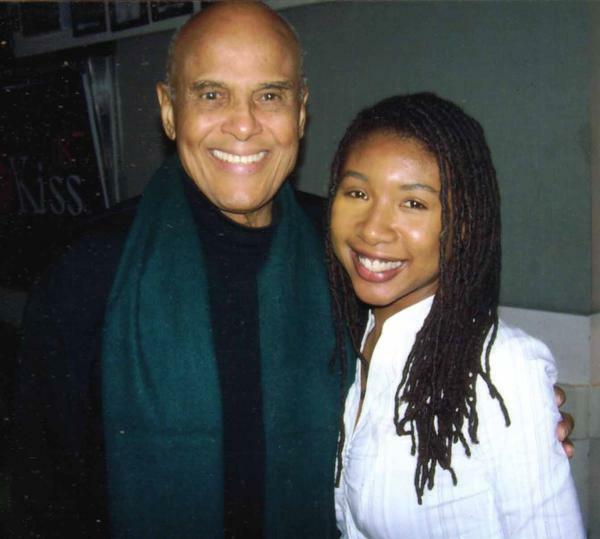 I’m blessed to have been able to sit with Mr. Belafonte back in 2009. He complained about America’s policies, racism, homelessness, the government. During a commercial break I asked, “If you hate America so much, why don’t you just leave?” He sat silent, pondering the question. Staring at me in disbelief. We went back on air, finished the interview, and he turned to me and asked, “Why didn’t you ask me that question on air?” I shrugged my shoulders. Off mic, he didn’t seem to have an answer. I didn’t want to embarrass this great among a million listeners. But to have talked to him casually, interviewing this man with a fabulous feeling of comfort, like I’d met him before, like he was the cool grandfather I’d always wanted? Amazing. He kept asking, “Where are you from? What island? Are you sure you’re not from the Islands?” The honor of this great even caring about who I am was Awesome. The honor of being able to walk him around the office, after our interview, introducing him to anyone in the vicinity with, “This is Harry Belafonte,” was Unforgettable. Royalty requires an introduction. And I was more than happy and blessed to give it, to be in the presence of it, to be energized by it – then and now. Long live Harry Belafonte. 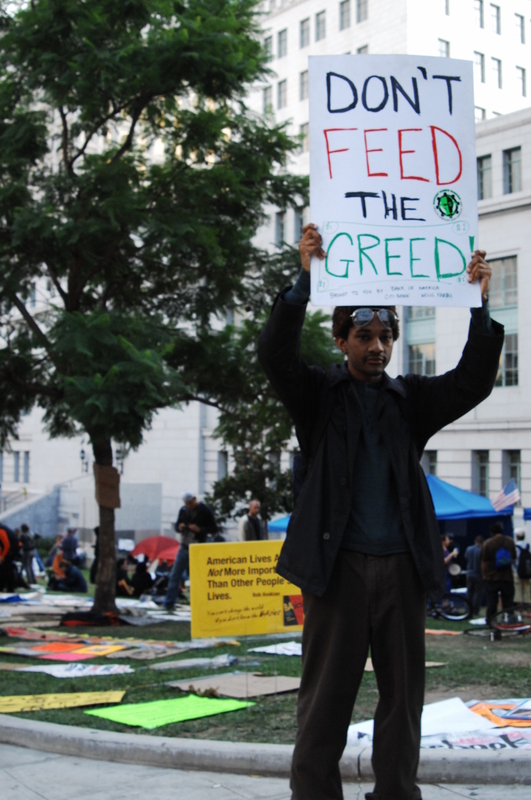 I wrote this piece focusing on the protests, particularly in LA, for MSNBC’s thegrio.com. LA was supposed to be an economic city I hit for my column, but the occupy demonstrations seemed bigger. A piece of a larger nationwide problem. People are angry. And they’re losing hope in Obama. You are currently browsing the Raqiyah Mays blog archives for October, 2011.